Can you believe it is the last week of March already?! This month has flown by! 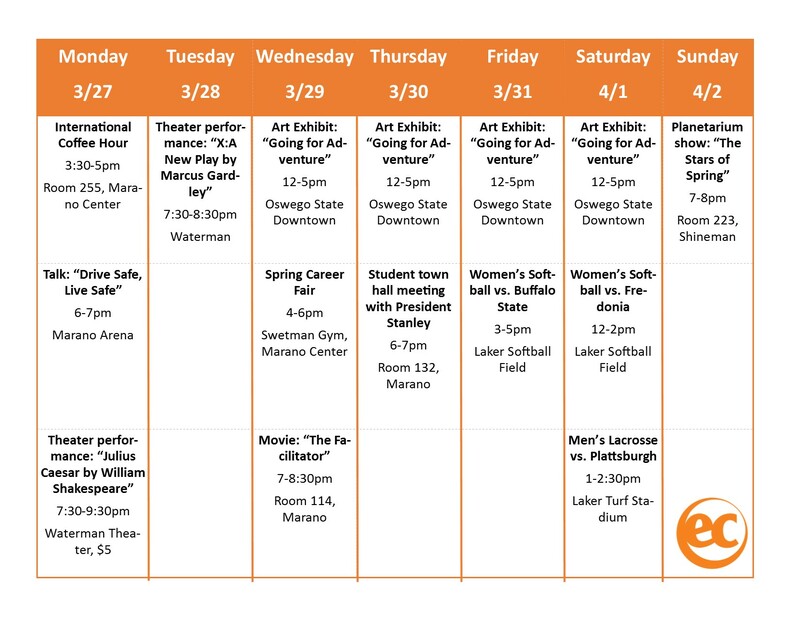 Be sure to check out the talks and movies that happen on campus! International Coffee Hour is just a way for International students to all get together and talk! This is a really great activity to do on Monday’s.